Literary critic, essayist, columnist, editor, academic teacher. Considered to be one of the most important researchers of Czesław Miłosz’s works. He studied Polish Studies at the University of Warsaw, and defended his doctoral and habilitation theses at the Institute of Literary Studies of the Polish Academy of Sciences. He held scholarships of the Fund for Supporting Independent Polish Literature and Science, the Historical and Literary Society, and the British Academy; in 2001, he stayed in the USA and attended the International Writing Program at the University of Iowa. For many years, he was the assistant editor-in-chief of Res Publica Nowa, where he also published his own texts. Apart from that, he published in magazines such as Teksty and Teksty Drugie, Gazeta Wyborcza, and Tygodnik Powszechny. He is currently the head of the Team for Research on the Literature and Culture of the Late Modernity, member of the Polish Writers’ Association, the Polish PEN Club, and the Association Against Anti-Semitism and Racism Otwarta Rzeczpospolita. 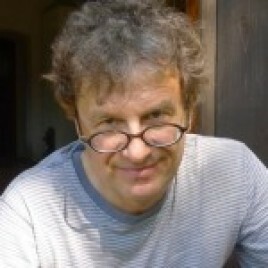 Winner of the Kościelski Award (1990), the Gdynia Literary Award (2006), and the Kazimierz Wyka Award for his book Echa idylli (2009). Until 2007, he was a member of the jury of the Nike Literary Award. His most important works include: Przygoda drugiej awangardy (1984), Mądremu biada? (1900), Formy pamięci (1996) and Zamiast. O twórczości Czesława Miłosza (2005). Marek Zaleski will lead a meeting with Agnieszka Taborska on 22nd October at 2:00pm in The Pod Baranami Palace.